Severus was unique amongst the Roman emperors as being the first black citizen to hold the highest office in the empire. He was born in Lepcis Magna in Tripolitana, now a part of Libya. 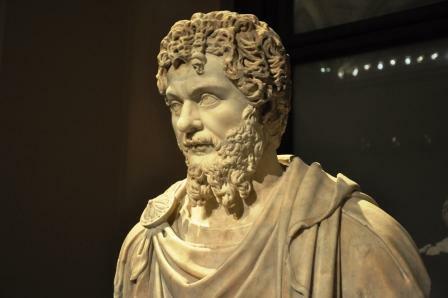 His parents Publius Septimius Geta and Fulvia Pia did not have any recorded standing in society, but Severus did have two cousins who achieved status with the Roman senate. In 173, Severus received his first posting in the senate, travelling to Gallia, Lugdunensis and Sicily where he served as governor. In 190, the present emperor, Commodus, promoted him to consul, then again to governor of Pannonia. 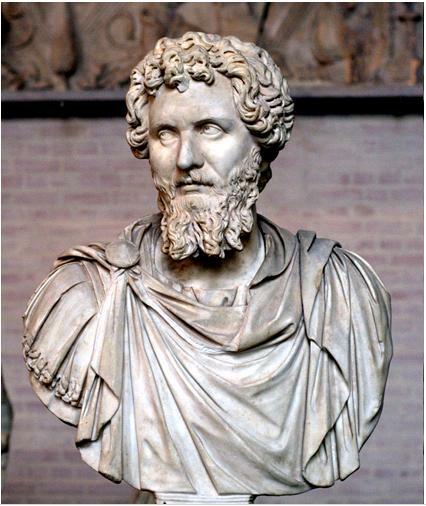 In 193 Didius Julianus was ousted from office by the senate after a disastrous reign that lasted only two months and in his place they proclaimed Severus emperor of the western Roman Empire. Julianus had been treated as a joke in Roman society because of his over indulgence in parties and personal pleasures to the detriment of his duty. Soon after he was forced from office, Julianus was murdered in his palace. Severus entered Rome and immediately set about rearranging the constitution to his own liking. His first act was to disband the praetorian guard, replacing them with his own loyal troops taken from the many legions he had commanded. By the time he had finished, his personal army was some six times larger than any guard unit assigned to any previous emperor. Next on his agenda was the removal of anyone who could be a threat to his rule, no matter how insignificant. Not everyone who opposed him was taken from office. Clodius Albinus who was the current governor of Britain, had many influential friends in the senate, so Severus had him promoted to Caesar. This had the effect of implying he would one day take the throne. By doing this, he pacified the senate and won them over to his plans. Severus and his wife Julia Domna had two sons, Caracalla and Geta, who would normally be first in line to succeed him. But it did not seem to occur to the senate members that maybe the appointment of Albinus over his own sons was a ploy to win support. However he soon announced that his son Caracalla was to be his successor, much to the dislike of the senate. It was not long before the western empire was in a state of civil war. One which lasted for four years and saw the death of everyone who opposed his style of leadership, which included twenty nine senators. 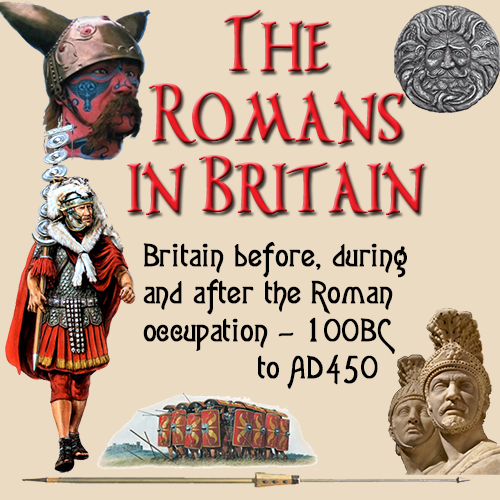 The Roman army in Britain and Gaul sided with Albinus, who began a march from Britain to Rome with the intention of toppling the current government. Severus gathered his forces and set off in search of Albinus. They met at Lugdunum in 197, where a fierce battle took place that finally ended the internal conflicts. Severus won the battle and now reigned supreme. He returned to Rome, where he began to consolidate his position by the use of military force. His first action was to set up a reserve military force close to the capital whose purpose was to supplement the present military around him. This new force throughout Italy was three times the size of the previous force and shows the determination of Severus to hold on to power for as long as possible. There were now 33 legions serving in the empire, three more than had ever served before. This figure did not include the irregular armies of archers and auxiliary infantry he posted to the frontiers. His reforms were not all designed for personal ambition. He changed a lot in civilian and military life that made conditions a lot better for many of his subjects. He issued a series of coins to commemorate each of the legions in the empire. The troops had their pay increased from 300 to 500 denarii per year. On top of this they received allowances and payments in kind, food clothing etc. The soldiers were given the right to legally marry local women. Until now a soldier had to wait until he had retired from active service before he could marry at all. Even so they had been dissuaded from introducing foreign blood into the Roman lines and had been expected to marry someone of pure Italian descent. The soldiers were given the opportunity for advancement, and many went on to high status in society. It was now possible, and it did happen, that some of them went on to become emperor. He also embarked upon a strong program of building throughout the empire. In his home town of Lepcis Magna, much of his work still remains. Here the visitor can see scenes and depictions from his rule on the buildings and reliefs that still survive. Severus was an untrusting man, suspicious of everyone, including his own family. Always on the lookout for any plot or insurrection, he trusted only one man, his praetorian prefect Gaius Fulvius Plautianus. This may ave been because they had grown up together and was related in some way to Severus. Plautianus too was a wily man who saw opportunity everywhere. Whether by arrangement or fate his daughter, Plautilla married Severus's elder son Caracalla. The marriage did not last and both Julia (Severus's wife) and Caracalla began a plot to dispose of Plautianus. The brother of Severus joined in the scheme by claiming to have knowledge of a plan by Plautianus to organise a revolt. This caused outrage and Caracalla ordered the murder of Plautianus. There were more pressing matters at hand now. Britain now required his attention as the northern frontier was under threat from the Scots. The Antonine wall was now abandoned and all the Roman forces had pulled back to the much stronger Hadrian's Wall. In 208 Severus arrived in Britain and took his forces dep into Caledonian and Pict territory, as far north as the Moray Firth. This was not entirely successful and so the Romans again went back to Hadrian's Wall and set about strengthening this most northern border in the empire. Britain was now a country divided into two regions, north and south. At Eburacum (York), the capital of northern Britain, Severus was taken ill in 211. With his family at his bedside, he died at the age of 66.